Karine and Tom met at university in 2012 and got engaged in 2016. They married shortly after on 16th February 216 at Islington town hall, with just two friends present. They later had a church blessing at the Asylum Chapel in Peckham and a reception at Brunswick House in Vauxhall, to which they invited family and friends from Karin’s home country of Lebanon, and from Paris and the U.S. The Asylum chapel is one of London’s more unusual historic venues. It is grade II listed chapel that was bombed in World War II and which now provides a unique open space. 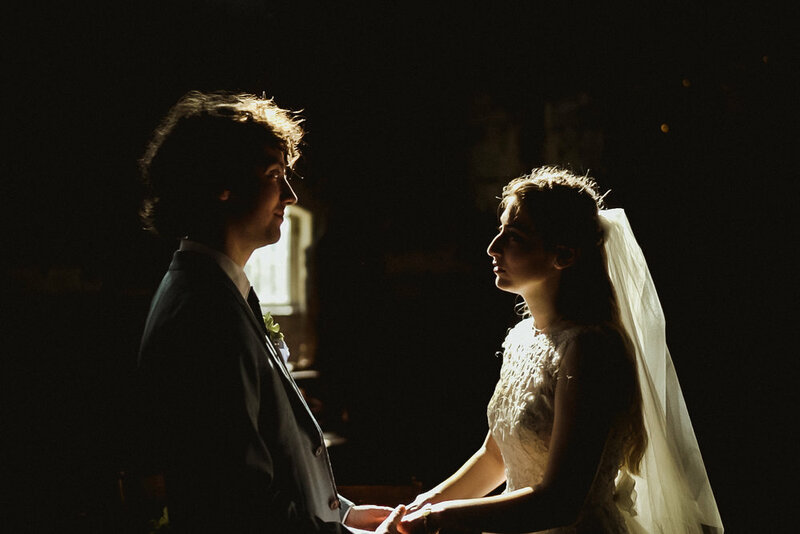 The texture of the semi derelict walls contrast with the beautiful wedding attire, and the light coming in through the windows, along with candles create a special atmosphere. Karine and Tom were sold as soon as they visited the chapel. 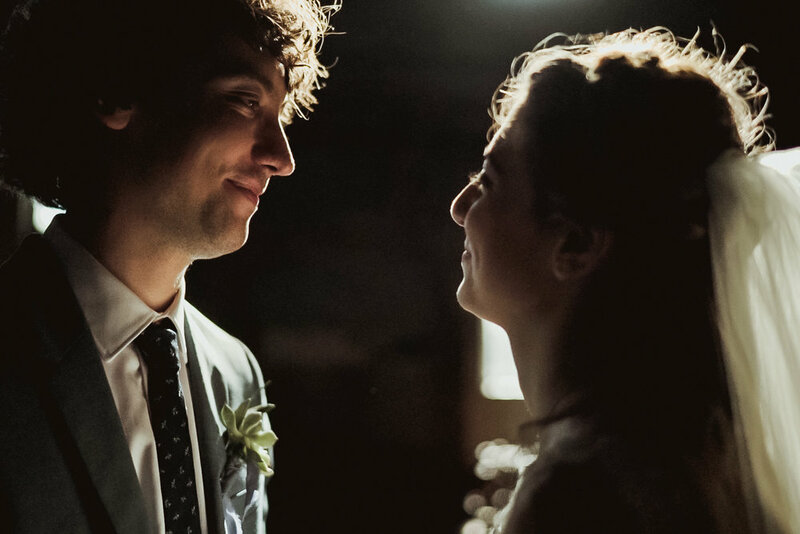 Karine and Tom already loved Brunswick House restaurant, and as soon they realised it could be hired out for wedding receptions they didn’t hesitate to book. 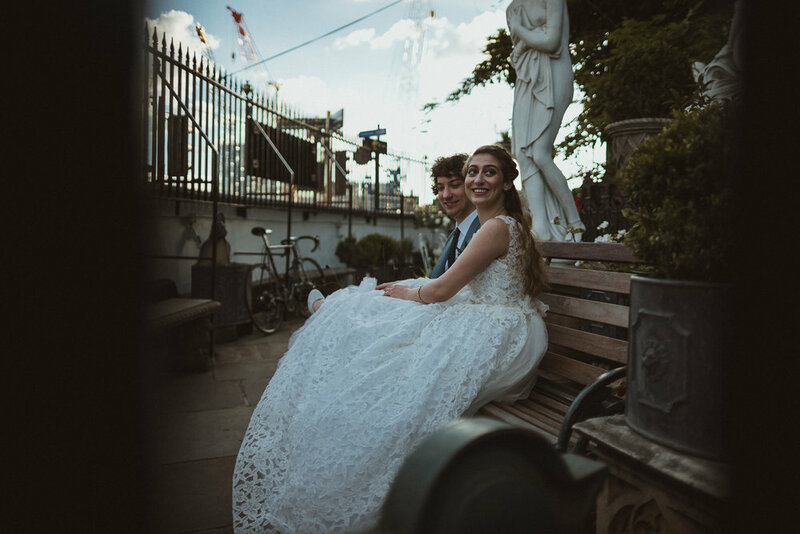 If you are looking for a unique place to hold your reception then Brunswick house is your place to go! It is an amazing restaurant, which sells great wines and cocktails, but it is also an antique shop. Everything in the house is for sale, but also a functional part of the dining room. A unique collection of antique décor creates such an distinctive ambiance. Karine’s dress is called Lake by Amsale, and was made entirely of floral corded lace cutouts. She wore a layer of tulle to the ceremony, which she could remove for dancing later on. This wedding was full of very personal and meaningful details. 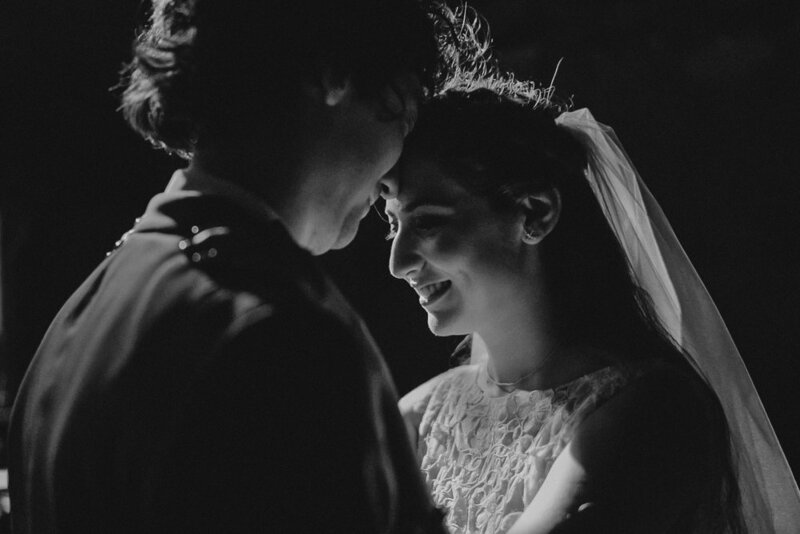 These included a secret first dance, an Arabic reading chosen by Karine’s grandma who couldn’t be present and their dog walking down the isle. Karine also made canvas tote bag wedding favours with an illustration of her dog, which she designed herself; she made her own shoes and her sister made the invitations. Karine wore some antique jewellery, which included a family heirloom gold bracelet. Karine wore Elis Saab perfume made from orange blossom and jasmine, which reminds her of home.